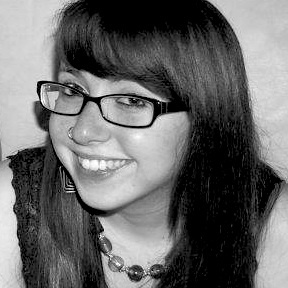 Emma is our most recent designer to join the growing team at emc design. Here she tells us about her love of the seaside and how Stevington compares in giving her creative inspiration. I’m Emma and I am the newest designer to join the team, having graduated from University College Falmouth this year with a degree in Graphic Design and a passion for editorial design. I have now torn myself away from the beautiful Cornish coast and returned to my hometown of Milton Keynes. Working in the lovely Bedfordshire countryside location of Stevington, at emc design, is proving to be a very appropriate compromise. As someone who is very fond of nature, trees in particular, I feel very at home and inspired in the countryside. Although I must admit, at 100 or so miles away from the sea I do miss smelling the fresh salty air. • Falmouth is an active harbour town which means there are many boats, big and small. Stevington however is a middle-England country village. Instead of boats it has tractors, equally big and small although mostly big. Also, I am more likely to get stuck driving behind a slow tractor than I ever was a boat. • In Falmouth there is always a constant sound of seagulls, it lets you know that you are most definitely by the seaside. The Barn in Stevington often has lots of little birds around although that’s about as species specific as I can be. There is however a field with several friendly horses nearby, each more pleasant than the average seagull. • As I mentioned in the introduction, I am very fond of the fresh sea air of Falmouth but Stevington has the fresh air of the countryside. And either is far better than the stuffiness of a big city. Fresh air makes for a more productive day, I say! • As a seaside town, it is no surprise that the beach scores well on my list of Falmouth highlights. But I am just as attached to sloping tree-lined fields of Stevington and its surrounding lands as the sandy Cornish shore. Particularly in their autumn colours and with the mist we’ve been having this week, the Stevington trees have been looking eerily picturesque. • Pendennis Castle is one of Falmouth’s most iconic landmarks. Situated on the headland, the stroll around it is great. 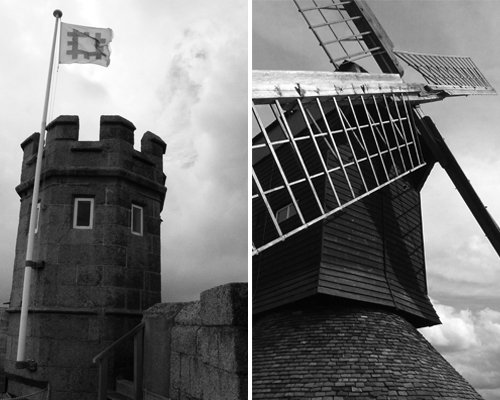 Stevington is home to an equally impressive landmark, the wonderful 18th century windmill. Conveniently located minutes away from emc, it’s a great place to wander up to on a sunny lunchtime and enjoy the silence – no seagulls! As a creative person, I think it is very important to seek inspiration from the world beyond your computer screen and so both the seaside and countryside work for me. Aside from the idyllic countryside location I am very much enjoying being a part of emc design doing work I enjoy and learning so much everyday. So, thanks very much for having me!